I am Sandeep, a sports freak who worked as a sales manager in one of the reputed sports store. I quit my job few months ago as a hobby turned into a passion. A passion to promote cycling as a regular commute in the cities. 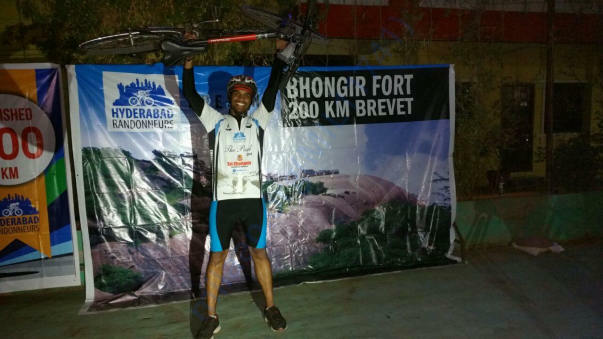 Meet Krishna, a trekking freak and a wanderlust, who worked in Wipro who turned into a cyclist. 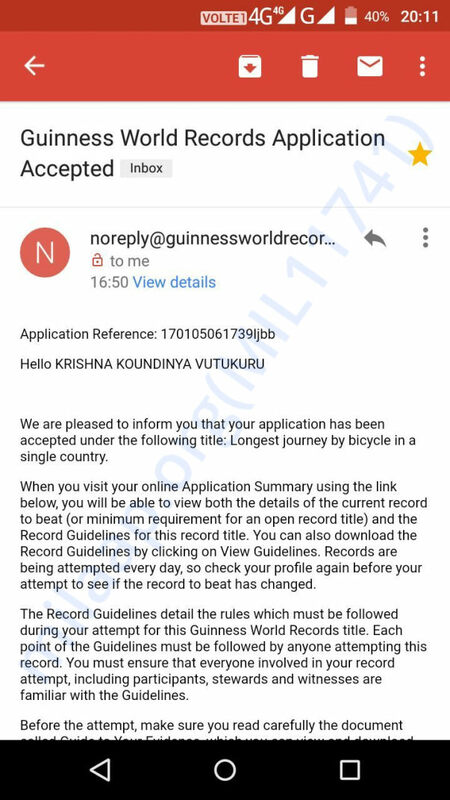 We would like to attempt this record to bring recognition to bicycling and to promote cycling in every corner of India. 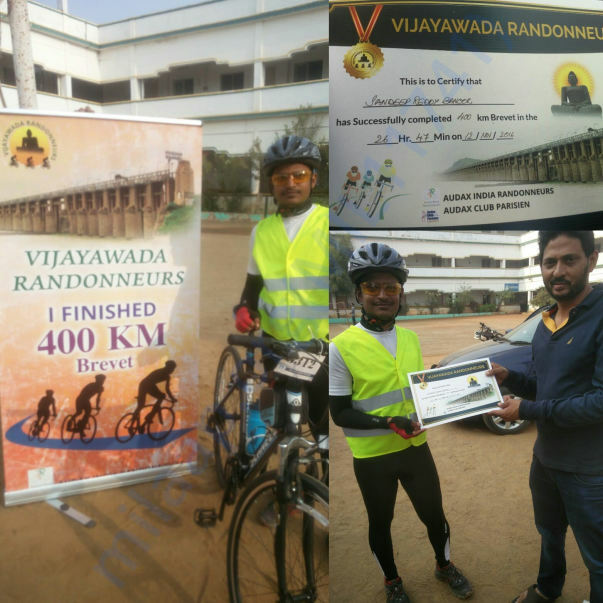 We started Cycling as a weekly country side rides and now it increased to participate in BRMs (Brevets de Randonneurs Mondiaux), which is timed and self support rides consists of 200,300,400 and 600kms. 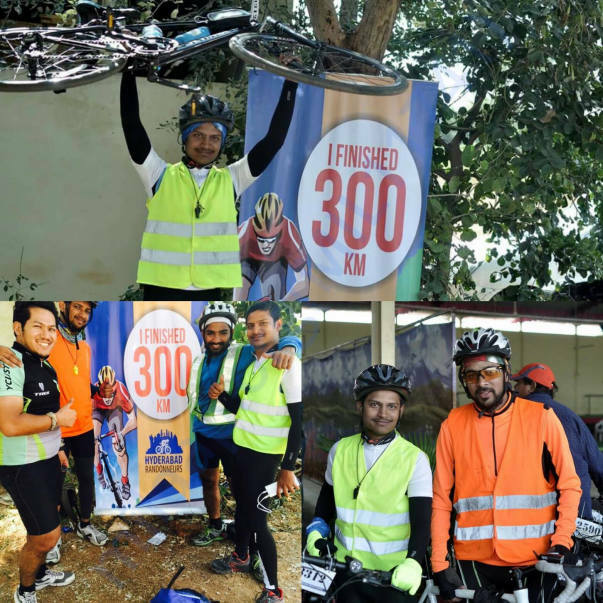 This initiative is taken to make the world out there know that India is all safe and secure for bicycling which promotes healthy environment that includes healthy lifestyle and maintaining our biological effects. To develop a discipline of bicycling we don't need tracks specially laid, a common usage in our daily life for a shorter distances would make a habit of bicycling thus improves our biological lifestyle. 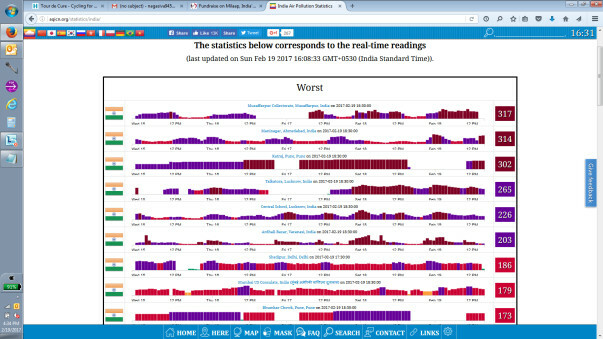 This is current stats of pollution in India. Sharing few pictures of Sandeep from his journey. This is Debotri, a fellow at Milaap. 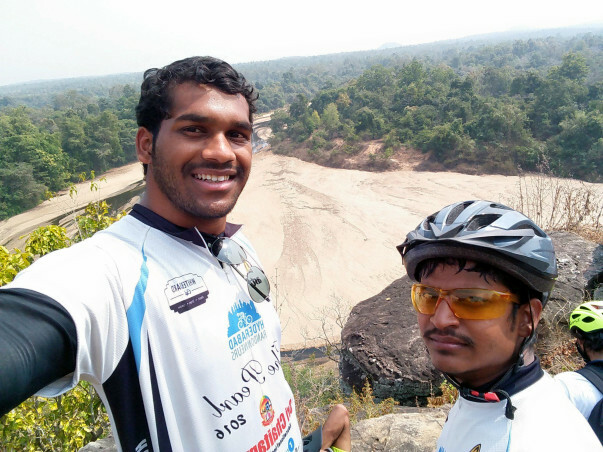 Here is an update on Sandeep and Krishna's mission to cover the longest bicycle journey in a single country. 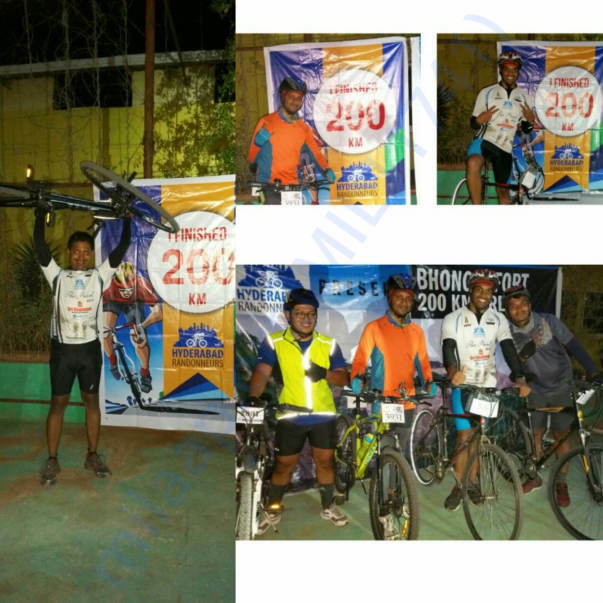 Both Sandeep and Krishna started their journey on 26th of March 2017. But unfortunately, in the last week of April, Krishna started having little issues in his shoulder. He was taken to the local hospital and the doctors have suggested him to take 2-3 weeks of complete. Although Sandeep was upset, he was motivated. He continued his journey and is presently going on a solo mission. 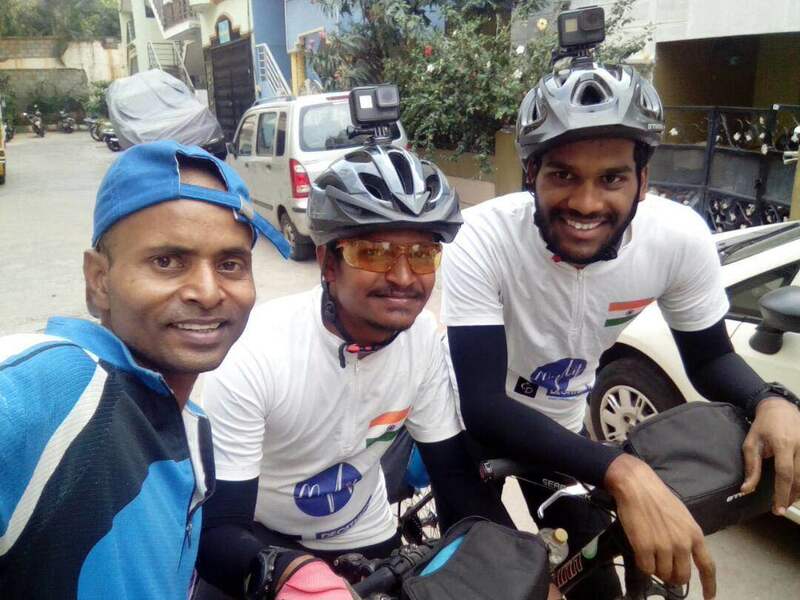 They have almost travelled 47 days and have crossed the following states- Telangana, Andhra Pradesh, Tamil Nadu, Kerala, Karnataka, Maharashtra, Goa and is presently in Gujrat. 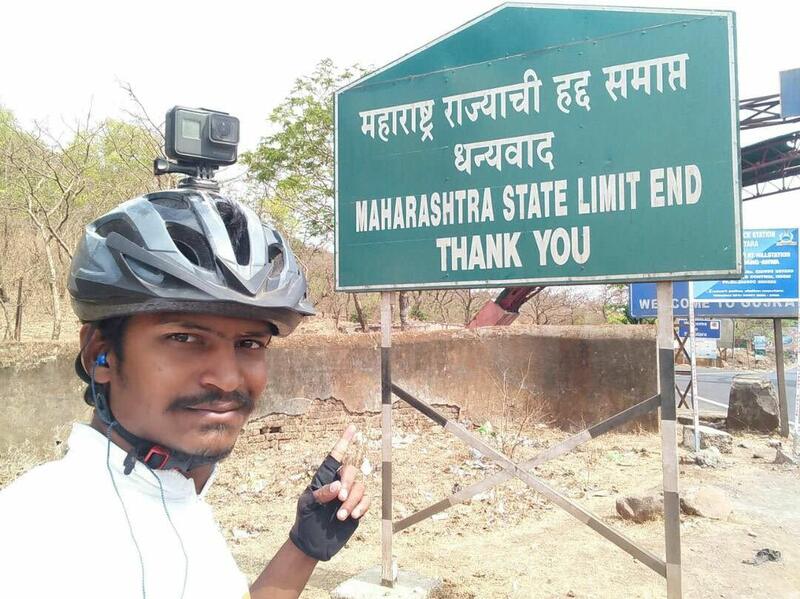 Till now, he has covered almost 5150 km already. 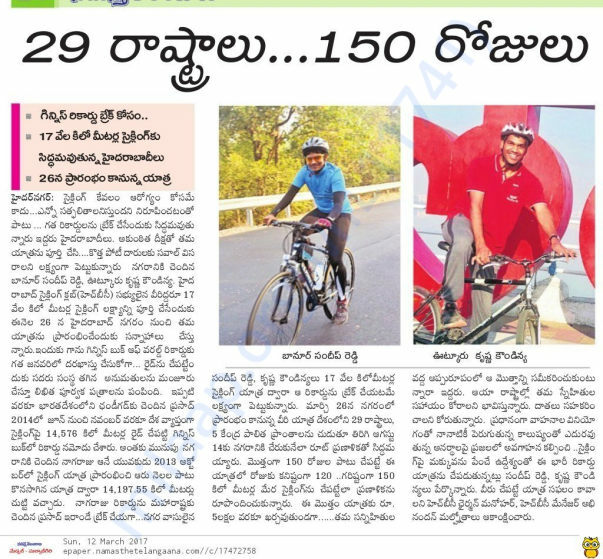 His average speed remains almost 20km/hr while average distance covered daily is almost 150km. 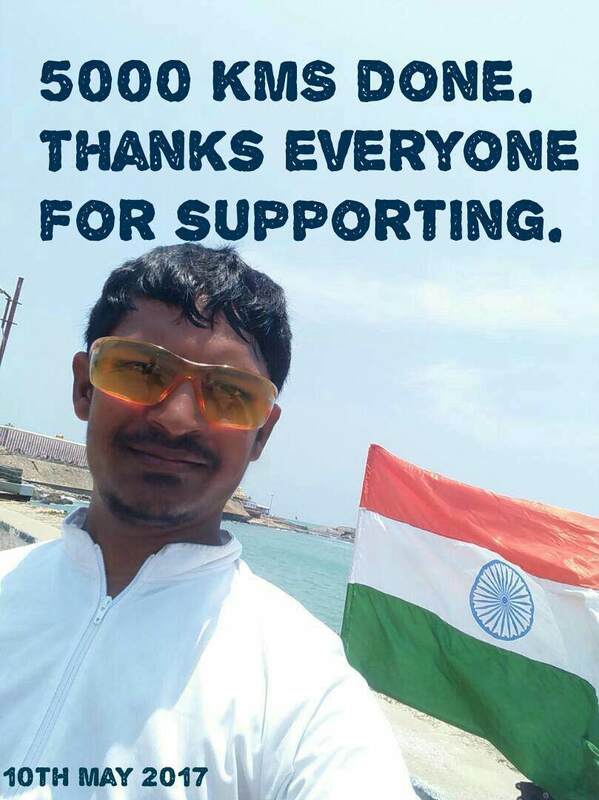 Sandeep is determined to reach Hyderabad by the end of July and aims to travel Rajasthan, Delhi, Uttar Pradesh, Bihar, West Bengal and few states of North Eastern India before entering Telangana. "There is a lot of risks and challenges involved in this mission. But this is something I desire to accomplish. 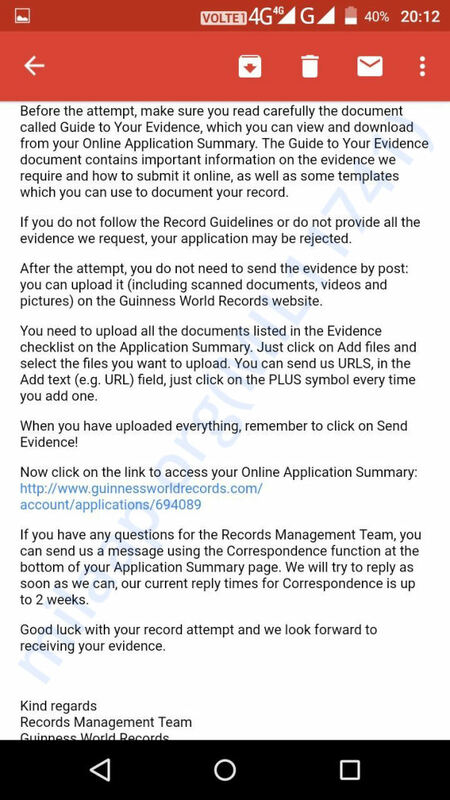 By August end, I am planning to submit all my documents. Please support me in this journey of mine", he said. We want to thank the donors in the biggest possible. Please share his story and help him to achieve this. More Power to you Fellas :) Proud of you !! !